A federal appeals court decision that a police officer did not violate a Salt Lake City man’s constitutional rights when he shot and killed his dog will stand. 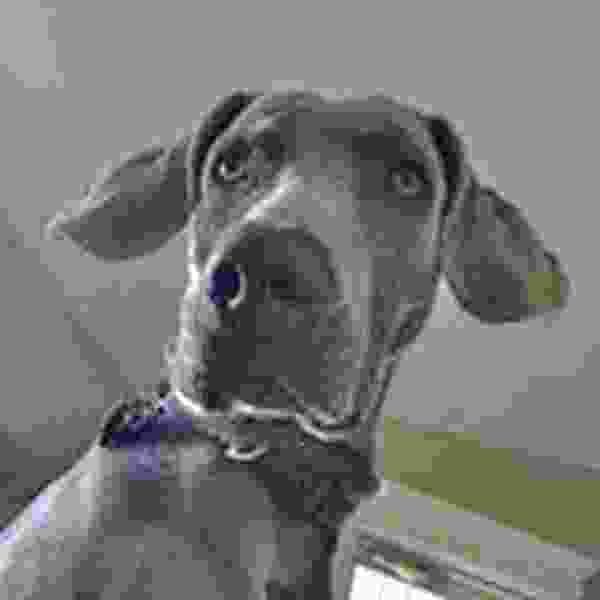 The 10th U.S. Court of Appeals has issued an order saying it would not reconsider its earlier decision by a three-judge panel that Officer Brett Olsen acted reasonably when he entered a fenced Sugar House yard and fired his service weapon at Geist, a 90-pound Weimaraner. The order, filed Friday, says dog owner Sean Kendall’s petition that the entire Denver-based appeals court rehear his appeal had been transmitted to all 10th Circuit judges in regular active service and the request was denied. Kendall’s attorney, Rocky Anderson, said Tuesday that they will now appeal to the U.S. Supreme Court. Olsen was searching for a missing 3-year-old boy on June 18, 2014, when he walked into Kendall’s yard without a warrant and was confronted with Geist. The officer has testified Geist was growling with his ears back and teeth bared and that he fired his gun when he realized he could not outrun the dog. There were no witnesses to the shooting. The shooting sparked a public outcry, and Kendall sued the city and five of its officers in Utah’s 3rd District Court in October 2015. The lawsuit — which involved state and federal defendants and sought about $2 million for the loss of the pet — alleged that Olsen violated Kendall’s Fourth and Fifth Amendment rights against illegal search and seizure and due process by entering the yard without sufficient cause. The suit was transferred to U.S. District Court in February 2017, where Judge Robert Shelby ruled that the shooting was justified and that Olsen had immunity against the federal constitutional claims. The ruling sent the case back to 3rd District Court to resolve the allegations against the state, and Kendall appealed to the 10th Circuit Court the decision involving the federal government. The state case is still pending. In addition, the 3-year-old, who was not able to communicate verbally, had been missing for an hour and the chances of finding him unharmed were decreasing rapidly, the court said. Attorney Anderson said there was a “massive error” in the application of search-and-seizure law in the case. Under the ruling, police could conduct warrantless searches of hundreds or even thousands of homes and yards that fall within an radius where a missing person might have traveled, he said. But police and city officials have said the situation was critical and that officers did not violate Kendall’s rights by searching for a child who could be in danger. Kendall’s residence was about 10 houses from the boy’s home. On Tuesday, Salt Lake City police Sgt. Brandon Shearer called the decision a “clear victory for parents, guardians and those who care about children” because it reaffirms that reasonable searches are allowed. “The decision recognized that those who are sworn to protect and serve can do that,” Shearer said. The boy was found asleep in the basement of his home soon after the shooting. A review by the city’s Police Civilian Review Board found that Olsen did not violate department policies.